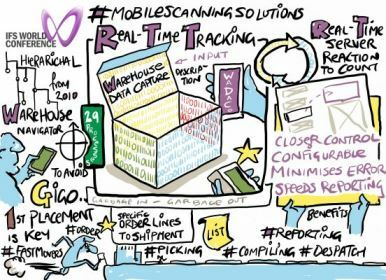 Where are we going with our warehouse data collection solution? 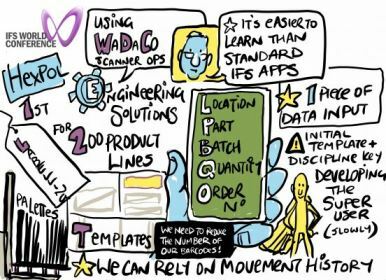 We see a great benefit in using the warehousing functions in IFS because it’s embedded. It’s upgraded when you upgrade IFS Applications. However, for some really large warehouses, there is still a need for a dedicated warehouse management (WMS). The warehouse navigator is a graphical view of the warehouse. You can define storage zones. You can define how you sort with route orders. Inventory putaway compares the properties of what you’re receiving with the available storage zones, to suggest the best possible free location. Shipment processing was rebuilt for IFS Applications 9. You can have multiple departures a day and work with exceptions to cancel or modify shipments. New Shipment Types can supplant custom order types for many shipping situations. New Handling Units. You can now define remote warehouse – like trucks with parts or stock sitting with a customer or supplier. 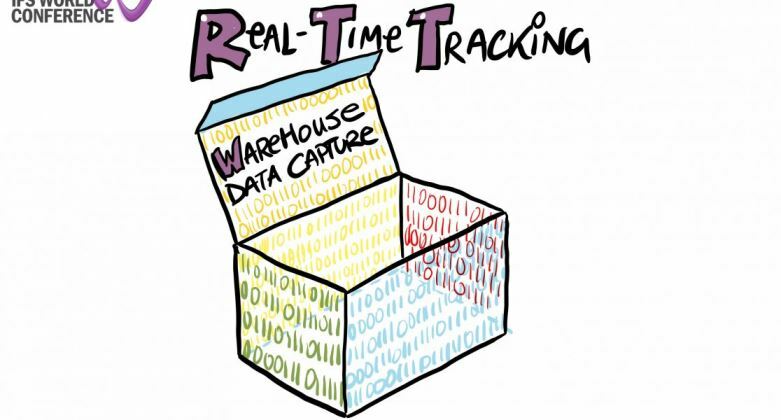 Warehouse data collection is a simple and robust solution, with negligible training overheads. It gives higher employee productivity, saves cost through reduced employee errors and boosts inventory accuracy. Transaction utilities are IFS processes we’ve packaged to run on a mobile device. Data can be scanned into a data collection box during scanning and stored there until it can be processed. We have an Android client and a Windows Mobile 6.5 version. We also have an IFS Enterprise Explorer version. All three clients require zero user configuration. As soon as a configuration is released to the client, it is available to the user. There is a configuration client that allows you to build out the configuration for the mobile tool. The mobile tool allows sessions to be suspended and resumed if a warehouse worker is interrupted. The main screen requests the data by stating what is needed and it can be added via barcode scanner, a chosen blue or the keyboard. Sequential information can be requested. Invalid input will be flagged to the user and they will be asked to re-enter it. We have 29 processes available across inbound, purchases, outbound, shop order and work order. Processes can be interlinked. Hexpol is a world-leading polymer group. This case study is specifically about the Hexpol Engineered Products division. All units within the division run IFS Applications. They current run IFS Applications 8 and will be upgrading to IFS Applications 9 November 2016 through February 2017. Implementing the warehouse data collection solution is a question of deciding what to do first. They run on Windows Mobile and are dealing with between 200 and 400 transactions per day in each of their major areas. Numbers are printed on labels as both barcodes and numbers. They’re a pallet-moving business rather than a box-mover, so the scanning devices are attached to the pallet movers. You need discipline to get the best out of the system. You needed skilled people to do the reporting. It’s essential to do some training so everything is clear for them. ALL reporting and traceability takes time and money compared to not doing it all – so there needs to be a benefit from doing it. But you will save time on analysis.